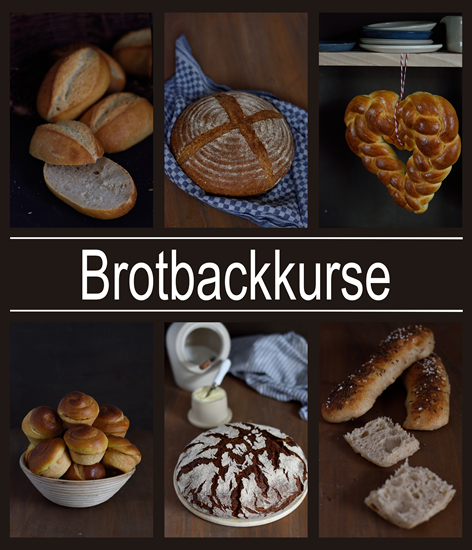 An ugly flu hit me and so my baking plans (Lusekatter, Kletzenbrot and rye flat bread) are nothing more then dreams at the moment. My stock of unposted bread recipes ran dry as well. 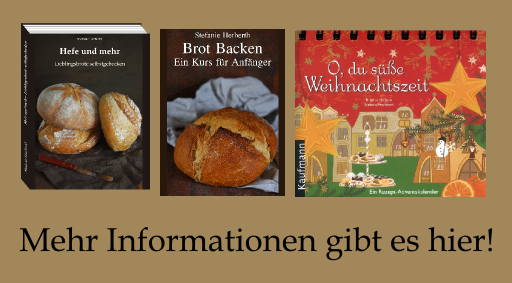 Only a nice marzipan recipe – which fits well with Christmas – is left. During the autumn holidays I was shopping in the “Stuttgarter Markthallen” and bought a small parcel of bitter apricot kernels. Bitter apricot kernels and bitter almonds contain hydrocyanic acid and just a few can endanger very small kids – so please store them out of children reach and not together with sweet almonds! The dangerous dosage are one bitter almond per kilogram body weight. So two for 200g Marzipan is no problem at all but if you feel unwell with using them you can use bitter almond extract instead, too. 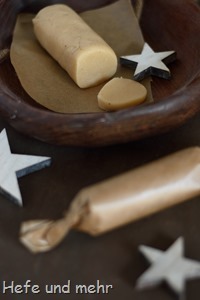 The marzipan is easy to make with a food processor and so a good last minute Christmas present.